A couple of years ago we endured what we’ve affectionately named “The Blizzard of Oz”. It amounted to three days straight of missed school and was, incidentally, adjacent to a weekend so gave us FIVE STRAIGHT DAYS of indoor captivity. It forced us all to get very creative. Case in point: my children started out with a blanket fort, but expanded to include a bedroom, eat-in kitchen and, ahem, sunroom. (The sunroom was a wall of blankets tied to a window FYI.) Creative. My creativity manifested itself in the kitchen where I got a little crazy with some fruit and a blowtorch. This one wins a prize for sheer simplicity. 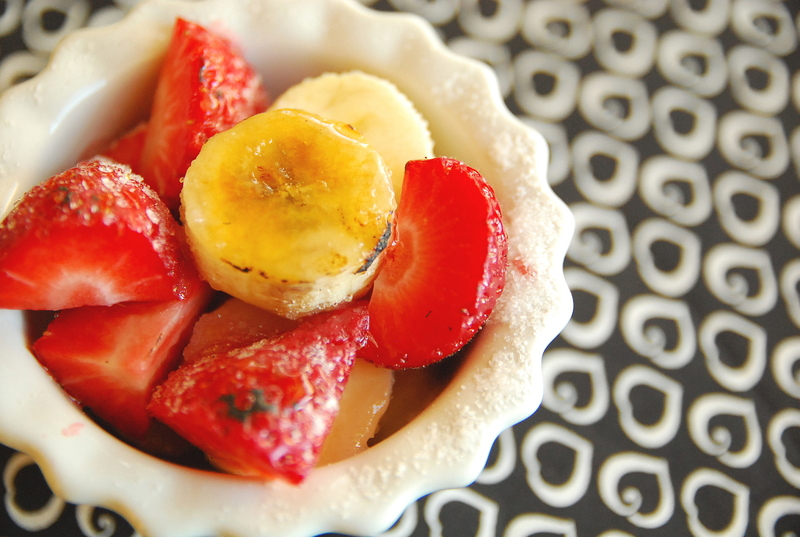 It’s just strawberries and bananas (or whatever fruit you have) sprinkled with a little sugar and then torched to create that crispy, sweet crust that adorns the top of creme brulée. It takes the fruit to a whole new level, adding flavor and texture, and is really pretty to look at too. I wouldn’t hesitate to serve this at a fancy dinner party. Oh, and if someone were to throw in some ice cream? Game over. p.s. I couldn’t actually find my kitchen torch, so I just used a regular butane lighter (the one we use to light candles or the grill). It worked perfectly, but it has to be a butane one. 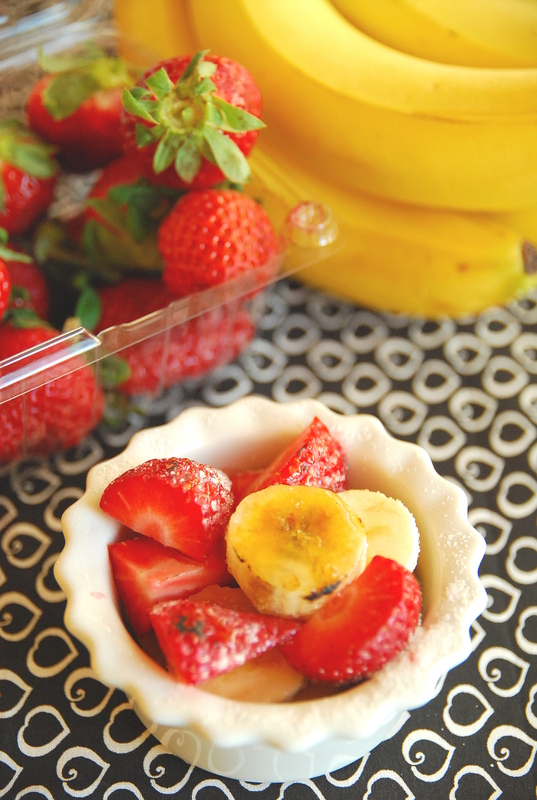 Place fruit in a heatproof ramekin. Sprinkle evenly with sugar (being very generous). Light torch and heat sugar till golden brown, making sure to pass torch slowly back and forth over fruit until browned. Enjoy!